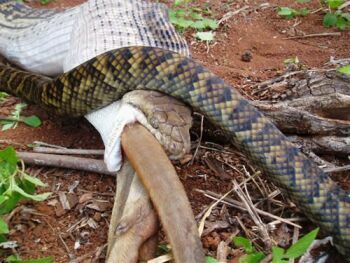 Home Eco Friendly Guide	A boa eating a kangaroo!!! 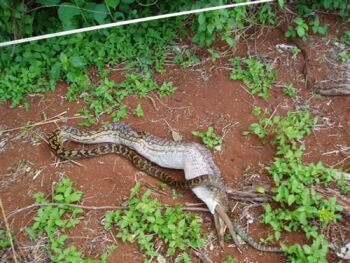 Here is an amazing journey through the eating habit of a most colorful boa snake. 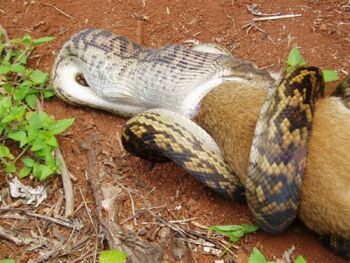 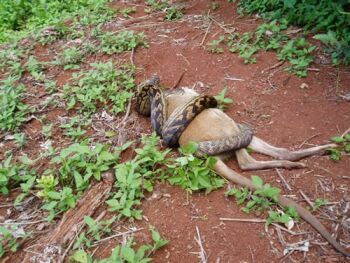 Scroll down to find how a boa can gradually swallow down a kangaroo. 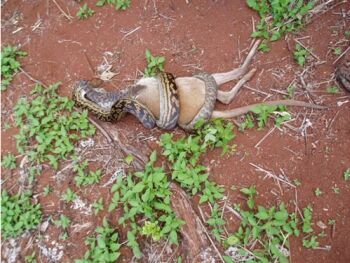 Yes, a kangaroo!! 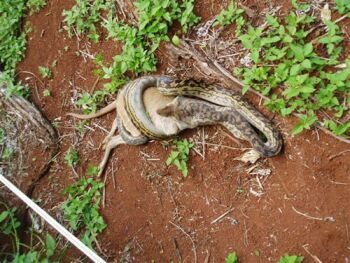 The lively pictures provided back-to-back will surely give you an experience of seeing a boa gulping down a whole kangaroo! 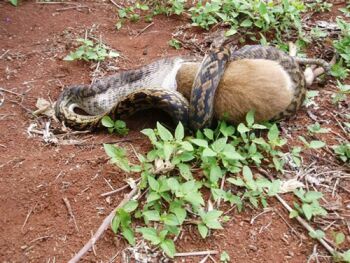 Boas, members of the Boidae family are medium-sized to large snakes. 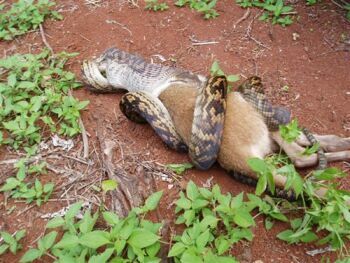 Boas are generally called as the ‘New World Snakes’ as pythons the Old World Snakes.